Netflix has canceled Travelers. We will not have a 4th season. They forgot about Protocol 911. Travelers must be saved. 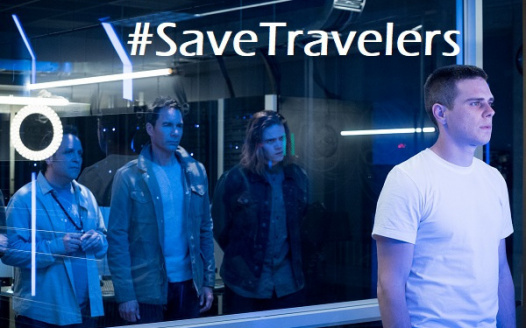 Fans please sign the following petition and share all over social media via the #SaveTravelers hashtag. We, the fans of the show Travelers, do hereby request you consider changing your mind about this series. This show is worth the time, money, and energy it takes to create additional seasons and we politely ask that you reconsider your decision. Travelers is a show with a fantastic cast of characters and a story that must continue to be told...Do not stop here. Allow the Traveler Program 2.0 program to continue. How many signatures will it take, NETFLIX? 10,000? 20,000? 50,000? We will not stop until you allow the story to keep going. 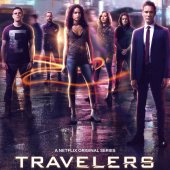 Travelers was created to save our future... This petition has been created to save them. Come on, Netflix, let's do this. After signing, please share on social media! The more noise we make, the greater chance we have to change the future!